Diallyl trisulfide (DATS) is a structurally simple but biologically active constituent of processed garlic with in vivo activity against chemically induced as well as oncogene-driven cancer in experimental rodents. This study offers novel insights into the mechanisms underlying anticancer effects of DATS using human breast cancer cells as a model. 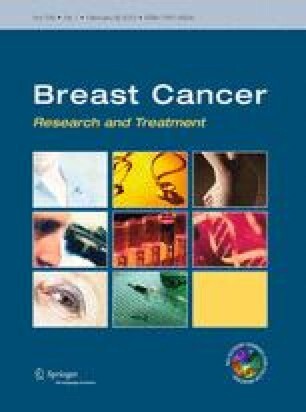 Exposure of human breast cancer cells (MCF-7 and MDA-MB-231) and a cell line derived from spontaneously developing mammary tumor of a transgenic mouse (BRI-JM04) to DATS resulted in a dose-dependent inhibition of cell viability that was accompanied by apoptosis induction. A non-tumorigenic normal human mammary cell line (MCF-10A) was resistant to growth inhibition and apoptosis induction by DATS. The DATS-induced apoptosis in MDA-MB-231, MCF-7, and BRI-JM04 cells was associated with reactive oxygen species (ROS) production as evidenced by fluorescence microscopy and flow cytometry using a chemical probe (MitoSOX Red). Overexpression of Cu,Zn-superoxide dismutase (Cu,Zn-SOD) as well as Mn-SOD conferred significant protection against DATS-induced ROS production and apoptotic cell death in MDA-MB-231 and MCF-7 cells. Activation of Bak, but not Bax, resulting from DATS treatment was markedly suppressed by overexpression of Mn-SOD. The DATS treatment caused ROS generation, but not activation of Bax or Bak, in MCF-10A cells. Furthermore, the DATS-mediated inhibition of cell migration was partially but significantly attenuated by Cu,Zn-SOD and Mn-SOD overexpression in association with changes in levels of proteins involved in epithelial–mesenchymal transition. The DATS-mediated induction of heme oxygenase-1 was partially attenuated by overexpression of Mn-SOD. These results provide novel mechanistic insights indicating a critical role for ROS in anticancer effects of DATS. Research reported in this publication was supported by the National Cancer Institute of the National Institutes of Health under award number R01 CA113363-07 (to SVS). This research project used the Flow Cytometry Facility that was supported in part by a Grant from the National Cancer Institute at the National Institutes of Health under award number P30 CA047904. KC-K, JL, and SVS declare no conflict of interest.